Policymakers and professional organisations are desperate to encourage Leaving Cert students to consider a career in construction or engineering ahead of this Friday’s deadline for CAO applications. No sector fell further or faster during the economic downturn. Today, thanks to a growing economy, the construction industry faces a much different dilemma: how to address a looming skills shortage. School-leavers fled from any courses linked to the sector – which of course bore the brunt of the economic collapse. Now, policymakers and professional organisations are desperate to encourage Leaving Cert students to consider a career in construction or engineering ahead of this Friday’s deadline for CAO applications. Universities, colleges and further education courses are not producing anywhere near enough engineers, quantity surveyors or tradespeople to meet demand, according to industry professionals. Take civil and environmental engineering. The sector had more than 600 graduates in 2014. Next year, it’s anticipated there will be fewer than 40. “Even if we filled all these courses, we would still face horrendous shortages for the next four years,” said Emma McKendrick, managing director of Punch Consulting Engineers. She said her company was attending any recruitment fair it can, but is not able to get its hands on enough graduates for work placements. McKendrick said the fact engineers were not listed on the Government’s “critical skills” list meant companies also faced problems sourcing workers from abroad. The broader construction industry has been adding jobs at a rate of about 1,000 a month since the end of 2014, with growth mainly in civil engineering, contracting and trades. 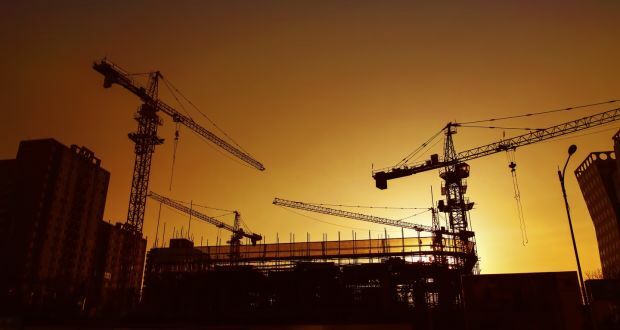 “We’re seeing more cranes and data centres rather than housing at this stage of the economic cycle,” said Tom Parlon, head of the Construction Industry Federation. That may be about to change. A surge in housing output is projected over the coming years, along with billions of euro worth of infrastructure projects. “We are predicting a significant skills shortage in the sector within five years. This has the potential to delay critical projects such as the Government’s ambitious social housing programme and infrastructure projects around the country,” said Parlon. These shortages are not just occupying the minds of vested interests. TheExpert Group on Future Skills Needs, which advises the State on jobs trends, confirmed a sharp demand in a number of these areas. It said quantity surveyors were in particular demand, along with those in wet trades (bricklayers, plasterers and decorators) and semi-skilled operatives (eg steel fixers, concrete workers and dry liners). In addition, it calculated that more than €4 billion in capital investment had been announced in biotech in the last three years, with more expansions and greenfield investments in the pipeline. “These projects are extremely complex and need some particularly high-end construction skills over extended construction times, in particular in areas such as power supply, air-handling systems, steam generation and handling, plumbing, waste and orbital welding,” the group said, in a note for higher-education institutions. Third-level institutions and the further education sector have been responding with an increase in the number of courses linked to the sector. However, tackling skills shortages isn’t as simple as laying on additional courses. Students also need to be prepared for what can be highly demanding courses. Engineers Ireland has expressed concern at a high dropout rate in engineering-related programmes at third level. Caroline Spillane, the group’s director general, said Ireland needed more students taking Stem (science, technology, engineering and maths) programmes to meet the skills demand.